Utilizing photography straight from the Topps image vault, 2016 Topps Archives Snapshots Baseball is a small set the features key names from the past, present, and future of the sport. Only found at Topps.com, each box includes one base parallel and one autograph card. 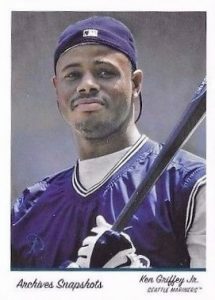 2016 Topps Archives Snapshots Baseball taps into the Archives brand legacy of celebrating the past, but, unlike the main Archives set, previous Topps designs are not featured in the Snapshots release. Cards appear to resemble Polaroid pictures but these don't require any shaking. While there are only 50 cards in the base set, every box of 2016 Topps Archives Snapshots Baseball delivers just ten base cards, making a more challenging build for set collectors. Falling one per box are the Black and White image parallels that cover the entire set. 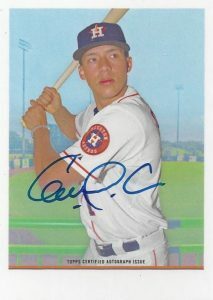 Leading the way, the product promises one on-card Autograph in every box while limited signed parallels like Black and White and Negative offer a low-numbered chase. 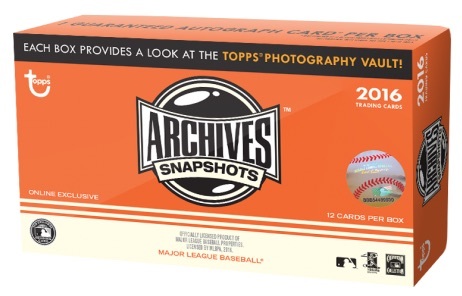 Exclusive to the Topps Online Shop, 2016 Topps Archives Snapshots Baseball boxes retail for $24.99. AJ POLLOCK 2016 TOPPS ARCHIVES SNAPSHOTS SP AUTO 200 DODGERS DBACKS A.J. 36 cards. 1 per box. Serial numbered. Known print runs listed below. PARALLEL CARDS: Black and White #/10, Negative #/5. jeff � That’s very odd on the redemptions as we were specifically told it was only live autographs. 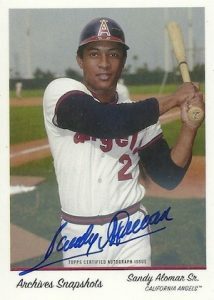 Looks like B/W autographs are #/10 and the Negative parallels are #/5. What size are these cards, they look bigger than the standard size?